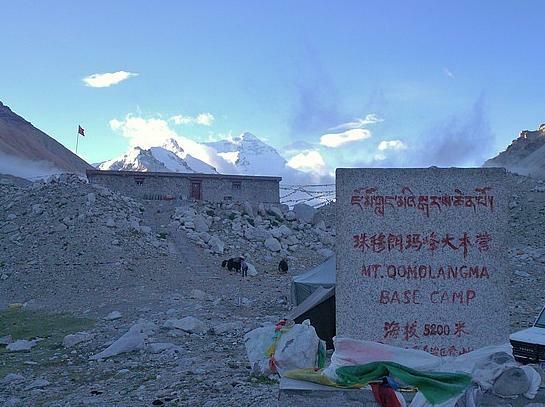 Tibet (Xizang), with an average elevation of 4,900 meters (16,000 ft), is the highest region on Earth and is commonly referred to as the "Roof of the World." It remained unknown to the world until the beginning of the 20th century. With vast lands, awe-inspiring buildings, wonderful ethnic groups and magic Tibetan Buddhism, Tibet is truly a paradise as well as the last eternal land on the earth. 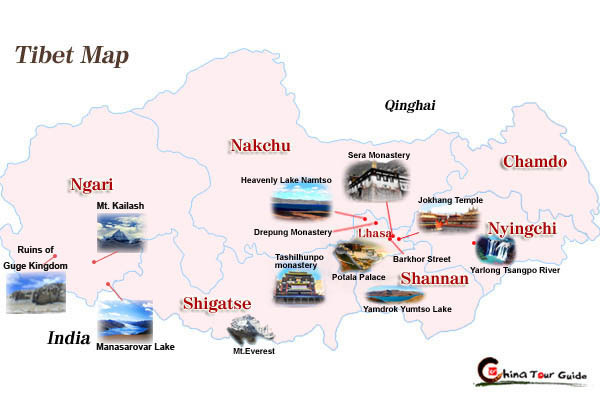 Tibet is a plateau region in Central Asia and the home to the indigenous Tibetan people. 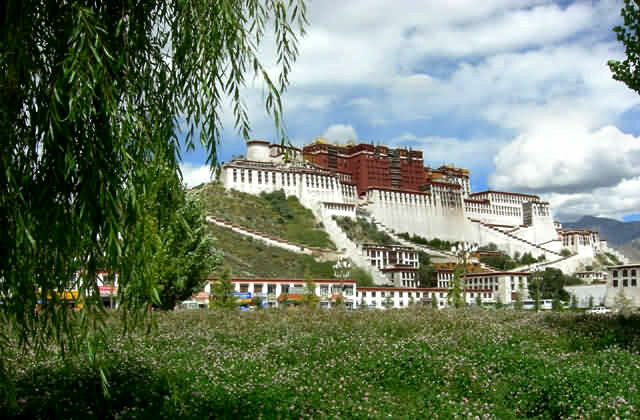 Lhasa is Tibet's traditional capital and the capital of Tibet Autonomous Region. Lhasa is a treasured historic site and the home of two world heritage sites, the Potala Palace and Norbulingka, with a number of significant temples and monasteries including Jokhang Temple, Drepung Monastery and Sera Monastery. 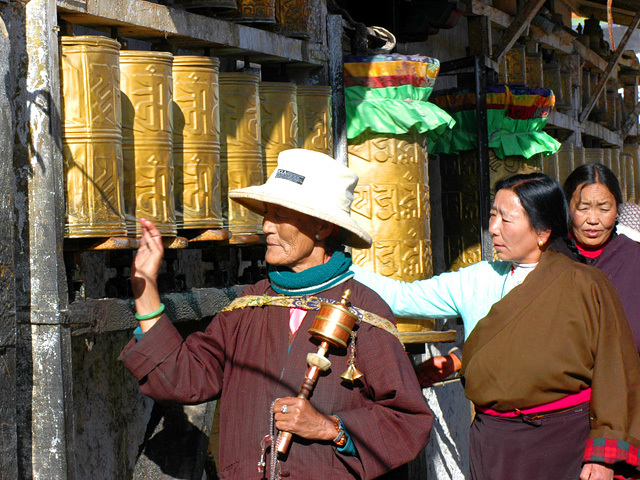 Shigatse is Tibet's second largest city, which lies west of Lhasa. Gyantse and Chamdo are also amongst the largest. What's more, Ngari, a vast desolate area with the smallest density of population situated in the western Tibet, adorned with the sacred Mt. Kailash, ManasarovarLake Lake and the ruins of Guge Kingdom, lures more and more people to explore. 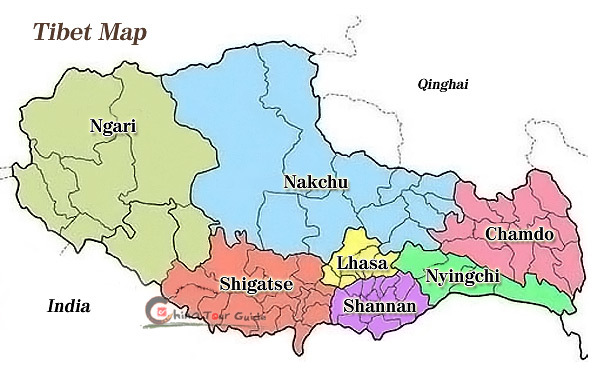 Tibet embraces the holy city Lhasa, Chamdo Region, Nyingchi Region, Shannan Region, Shigatse Region, Nakchu Region, Ngari Region and other 73 counties. Tips: You can click your interested attraction for detailed info.